Here's a midday announcement! From this week onwards, every Tuesday from 5pm - 8pm, enjoy BUY ONE FREE ONE on your favorite Summer Frappuccino with your friends. #ShowYourFlavor with a #StarbucksCoffeeDate today! 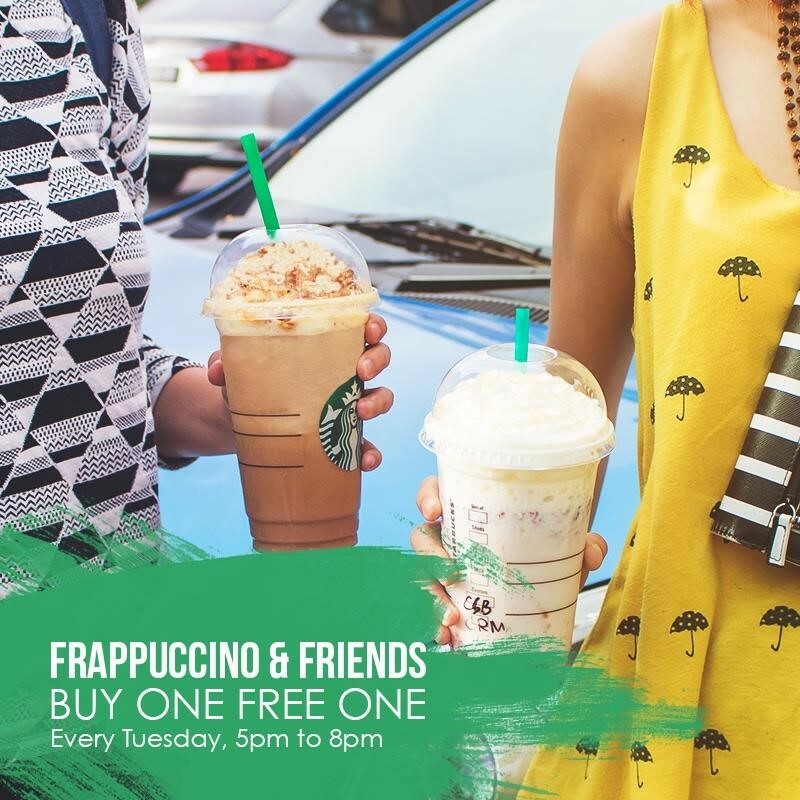 Valid on the Every Tuesday for the month of May, 5pm - 8pm. Only applicable for Pop'zel Coffee Frappuccino and Coconut Strawberry Bliss Frappuccino. Complimentary beverage must be equal or lesser value than the purchased.